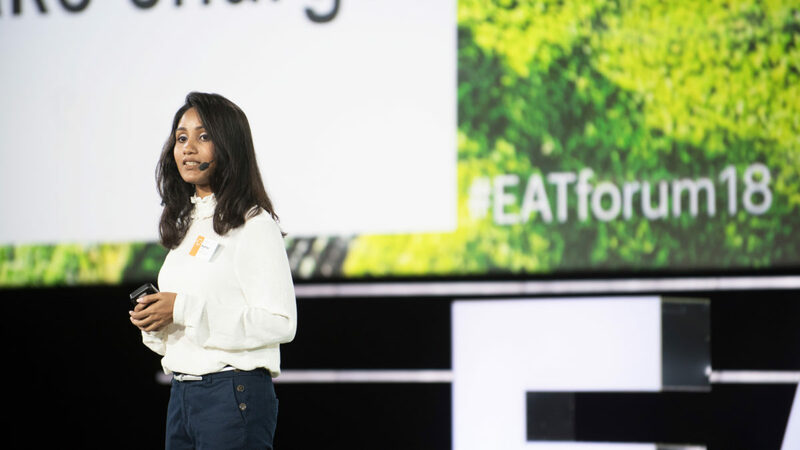 Bangladeshi entrepreneur Shafinaz Hossein co-founded FoodFresh while she was an undergraduate. FoodFresh is an affordable solar-powered storage solution for smallholder farmers, which can help tackle postharvest loss. Shafinaz is also one of 25 young leaders working for Thought for Food (TFF), an NGO dedicated to engaging and empowering the next generation of innovators. Shafinaz talked to us about how FoodFresh came about, the challenges and opportunities facing young female entrepreneurs and some of the innovative solutions emerging to fix our food system, including a new youth initiative that employs used tea leaves from market stalls to produce mushrooms in shanty towns. Our host Marianne Stigset talks to the leaders on the frontlines of the food revolution. Food Can Fix It is a podcast produced by EAT as part of our mission to create a fair and sustainable global food system for healthy people, animals and planet. Our weekly interviews spotlight the work of activist chefs, visionary political leaders, socially responsible investors and groundbreaking entrepreneurs and scientists who are transforming the way we produce, consume and think about food. Tune in to hear about how children in Peru are being taught to like dark chocolate, how used tea leaves from market stalls are employed to produce mushrooms in Bangladeshi shanty towns and how the loss of pollinators is impacting investment returns. Read article "E4: Quality, Culture & Culinary Innovators"
E8: How Do You Influence People to Make Healthy Choices? Read article "E8: How Do You Influence People to Make Healthy Choices?" Read article "E7: How Green Investment is Shaking Up The Financial Sector"